If you’ll allow me this one time, I’m taking the all but unprecedented step of selecting a Comment of the Day not from the day, but from the previous day. When you see what it is, I think you’ll understand. 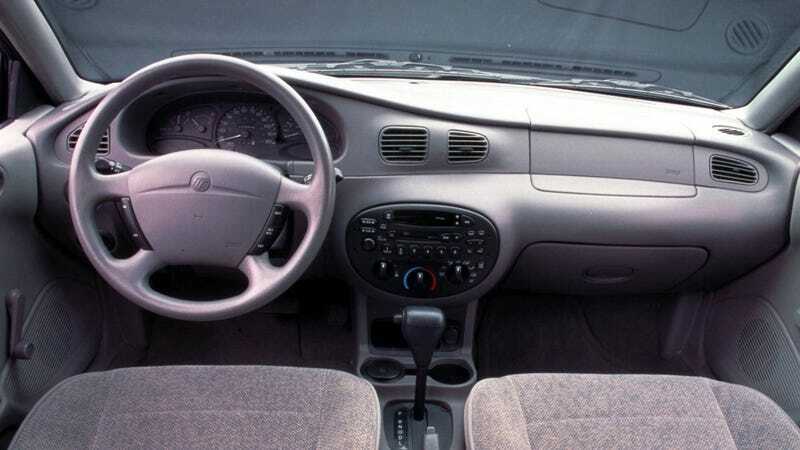 The setup: the Mercury Tracer was the subject of the latest Meh Car Monday installment, and in our work Slack chat it was notable for having almost no redeeming qualities whatsoever (although I forgot it came in a wagon variant also, so I guess that’s one.) My family had one when I was in high school. It was an awful machine. I hate this car, and I try to find good in everything, even the meh. That may in fact be the worst thing I’ve ever heard. Is it true? I can’t say, but it may in fact be too horrible to make up.